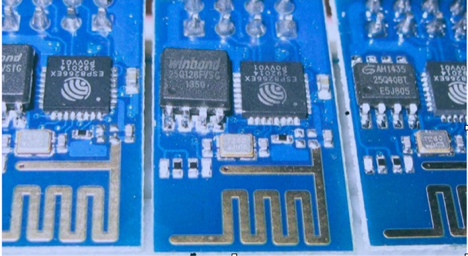 The ESP8266 is a low-cost Wi-Fi chip and microcontroller. With it you can connect a variety of sensors and/or actuators like LED’s and motors to anything you want. When connected to the Internet you can interact with your creation from anywhere in the world! Looking to get into the Internet of Things? Want to make an interactive installation that spans multiple continents? * ESP8266 electronic kits will be provided and will be available for optional purchase at the end of the workshop for $30.00 + $20 workshop fee ($50). Mark Hellar is a leading technology consultant for cultural institutions throughout the San Francisco Bay Area and beyond, and owner of Hellar Studios LLC. Mark is currently working on new media conservation initiatives at SFMoMA, including the conservation and care of their software-based artworks. He is also is an advisory committee member for the Digital Repository for Museum Collections at MoMA and has presented on the conservation of software-based artworks at Harvard University, the Smithsonian Institute, American Institute of Conservation and the DOCAM research alliance. He leads hands-on digital maker workshops internationally.